Mobile World Congress 2019 encompassed four days of mobile technology inspirations and experiences, presenting an opportunity to discover various new products and services, and to discuss emerging trends and developments. That’s why more than 109 000 visitors from around 200 countries and territories attended the event, with the presence of 7 900 CEOs testifying to its attractiveness. The topics covered at Mobile World Congress 2019 were focused on intelligent connectivity. Attendees explored developments in high-speed 5G networks, IoT, AI and big data, all of which have a real impact on businesses and society. Visitors could take advantage of advanced, hands-on demonstrations of applications in numerous industries, such as entertainment, robotics, immersive technologies, e-health and automotive. The main message that we brought from MWC 2019 is that 5G and IoT fuel the connection of more devices, and the market is ready for this change. For now, the mobile world is focused on robots, VR headsets, 5G smartphones, self-driving cars and drones, but with this high-speed technological development we may expect that even more solutions will become available once 5G networks become the new standard. Then, ever more types of devices are likely to be created and intelligent connectivity will truly come into its own. But let’s leave the future for now and focus on inspirations from the event that we can utilize now. The most attractive innovations of the show were foldable smartphones and those with five-lens cameras on the back. The new version of Microsoft HoloLens, lighter and more immersive than its predecessor, was also worth seeing. All these event-related topics also created great opportunities for Comarch to showcase its latest achievements and offer advancements. It was with pleasure that we presented our methodology, scope and best practice approach to 5G transformation, our IoT applications on the e-care platform, and a case study to demonstrate our integrated smart metering system and IoT platform. Visitors to the Comarch stand also had the opportunity to enter the mixed reality world with two applications, one presenting a utility-focused use case and the other showing how field service workers follow instructions with the help of virtual objects. In addition, our cloud-based services such as business intelligence, storage and online backup, and our approach to OSS/BSS in the cloud, were of great interest to our visitors. Together with our partner ngena, we also gave our audience a chance to learn more about global network building. 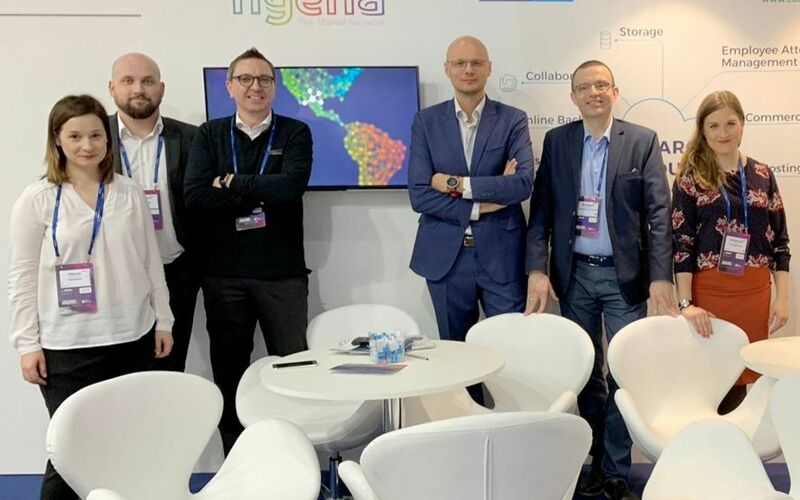 The ngena team showed how end to end automation and orchestration with a global product catalog and service inventory can meet the needs of WAN services in a 5G landscape. As it requires alignment with the increasingly common cloud paradigm, there is a need to offer reduced complexity, fewer technology domains and more integrated services. It is also noticeable that enterprises have a clear “cloud first” strategy, shifting towards cloud-based applications such as IaaS and SaaS in private and public clouds. This reflects the upcoming new generation of wireless communication, in relation to which ngena presented different types of local and regional secure Internet access and direct cloud-connect services. 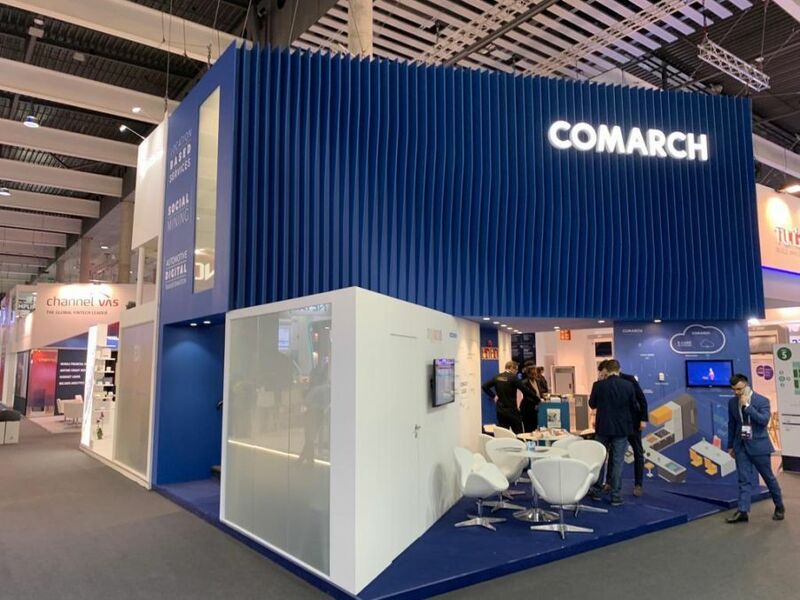 During MWC 2019 in Barcelona, representatives from Comarch and ngena, along with all other visitors, were able to see the great range of new ideas and benefits of maximized connectivity enabled by the combination of 5G technology, artificial intelligence and connected devices. We returned from the event with fresh concepts and the latest information from the market, which will help us to keep pace with global product development. Małgorzata has been with Comarch for the past 10 years, contributing to various marketing projects, including website design, visual identity, event management and internet marketing. She has also delivered speeches at various marketing events, including the Internet2K14 conference in Warsaw.